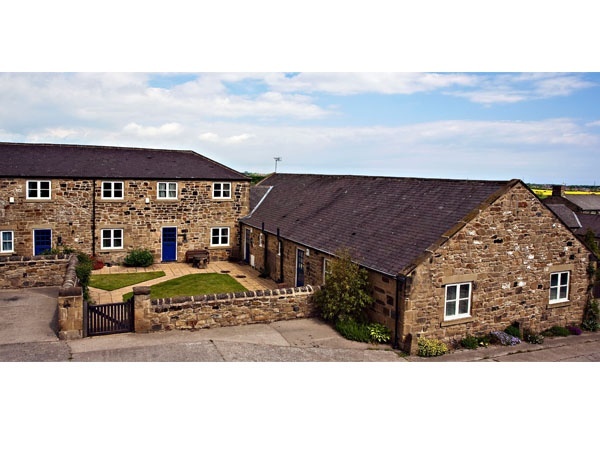 12 luxury 4 & 5 star self-catering houses & cottages that are conveniently situated only a few miles from the spectacular Northumbrian coastline and with easy access to Newcastle upon Tyne and all major road routes to tourist attractions yet lies at the heart of a 400 acre working farm in a lovely tranquil location. 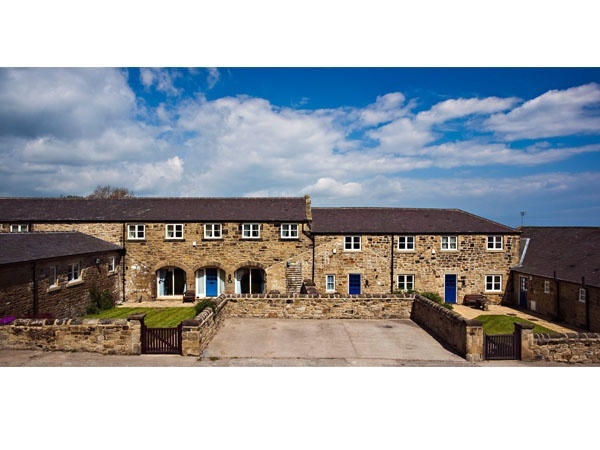 There are spacious houses that will sleep from 5 to 8 people, quality ground floor cottages for 4, pretty one double bedroomed cottages for 2, fully accessible disabled friendly cottages and best of value farm cottages that will sleep 4. Super fast Wi-Fi internet access in all. 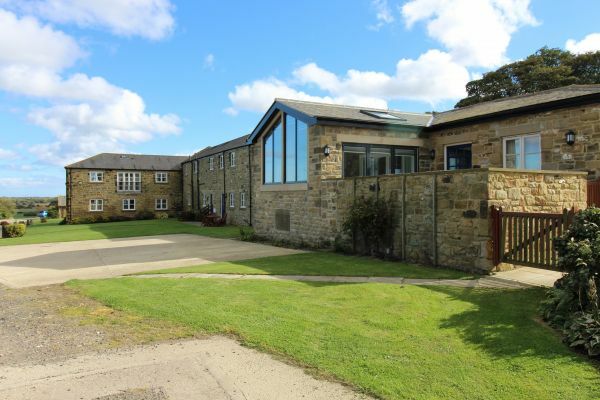 Our range of properties ensures we can provide a wide choice whether you’re a large group, business stay or family get away. 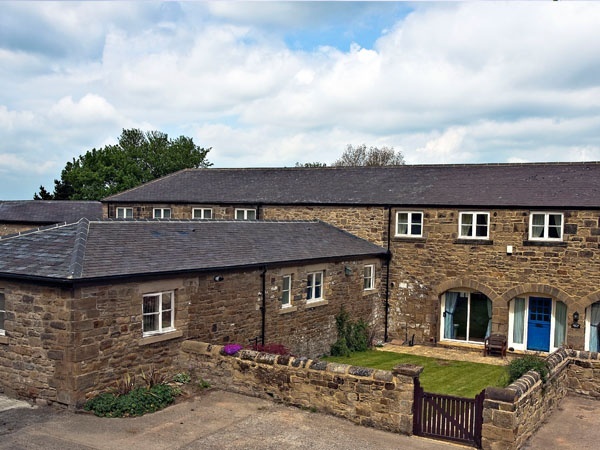 Everyone is welcome at Burradon Farm, so please let us know if there is any more that we can do to make your stay a pleasant one. Below are features common to all of our properties that make for easier accessibility, then each cottage and house is examined in more detail. If you have any queries or concerns please do not hesitate to contact us. 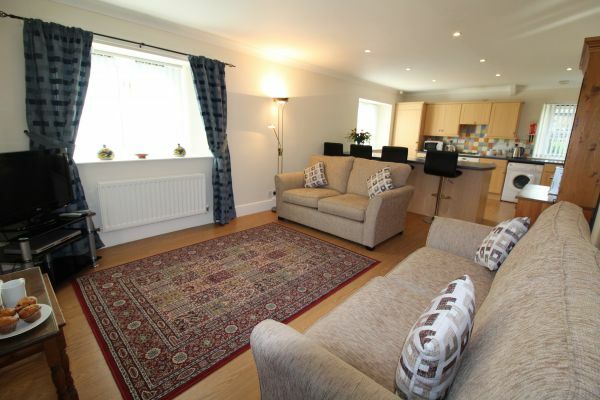 The cottages are all on one level with predominantly laminate flooring for ease of movement. Floor rugs can be removed if proving difficult. Reliable mobile phone coverage and excellent WIFI internet access. 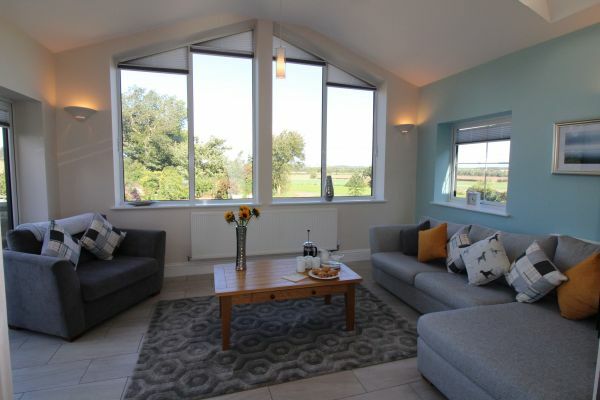 Swallow Cottage has been specifically constructed with disabled guests in mind, and has been assessed by VisitEngland as meeting the National Accessible Scheme for Mobility. 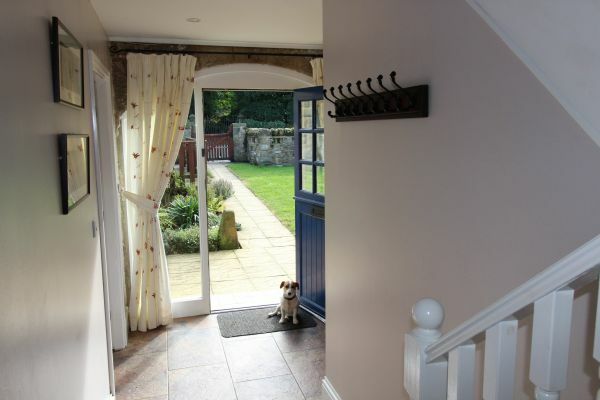 Tiled entrance hall leads to open plan living/dining/kitchen area in Swallow. Tiled entrance hall leads to open plan living/dining/outside raised patio area in Wheatlands. In both there is space for wheelchairs to manoeuvre comfortably. 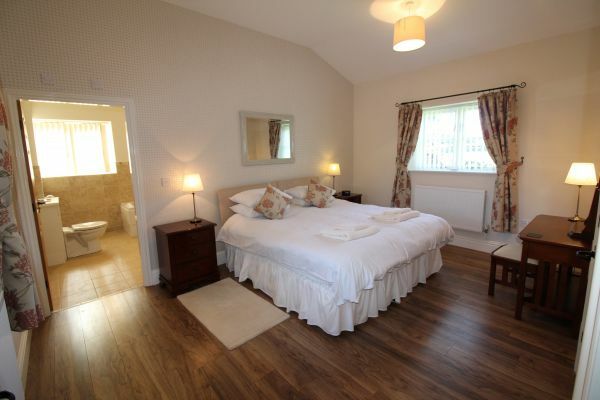 All the bedrooms are sufficiently spacious to allow wheelchair transfer into bed and the disabled guest has the choice of a single bed or a king size double bed. Bedrooms have wardrobes with adjustable hanging rails, dressing tables and chairs. Lighting levels are bright, with accessible light switches and sockets. Colour contrasts to enhance the décor and aid those with sight difficulties. The bathroom in Swallow has wall mounted grab rails by the toilet and a specially designed roll in shower with drop down wall seat. No bath. 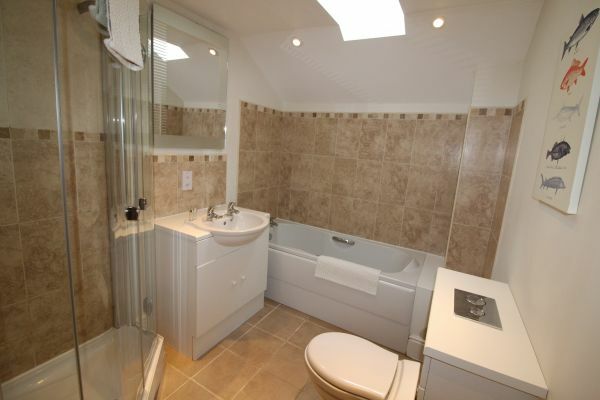 The bathroom in Wheatlands is spacious with both a bath with grab rails and a wet-room area into which a wheelchair can be pushed. Swallow kitchen is specially adapted with the wheelchair user in mind having a kitchen sink and gas hob with clear underspace for wheelchair users, easily accessed cupboards and specially designed side opening oven door. Sitting rooms and bedrooms are spacious but more limited space in the bathroom and galley kitchens. Standard corner shower with step up into shower tray. Traditional arched full length sitting room windows open out onto paved patio area set in rose or honeysuckle strewn walled garden. 30’’ door space for easy access. 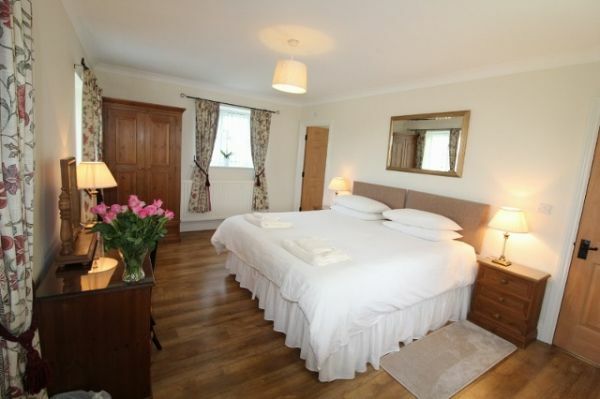 Generously proportioned rooms with more than adequate space for turning a wheelchair. Corner cubicle shower with standard sized step up into shower. Forge has 2 long shallow steps in the pathway leading to the front door. For Pele Cottage, a car can be parked immediately outside the front door. 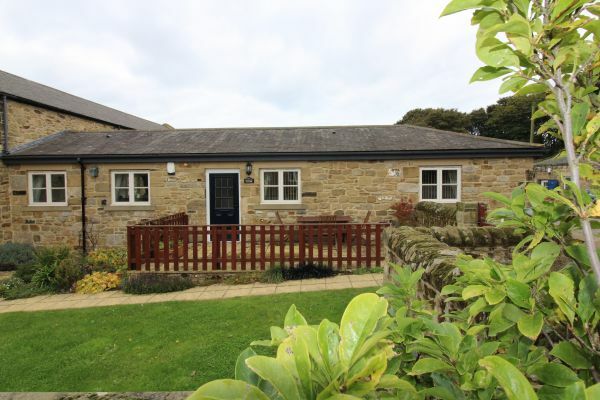 Standard door sizes in both cottages, but overall Forge has easier access to each room. Corner shower cubicle with standard sized step up into shower. 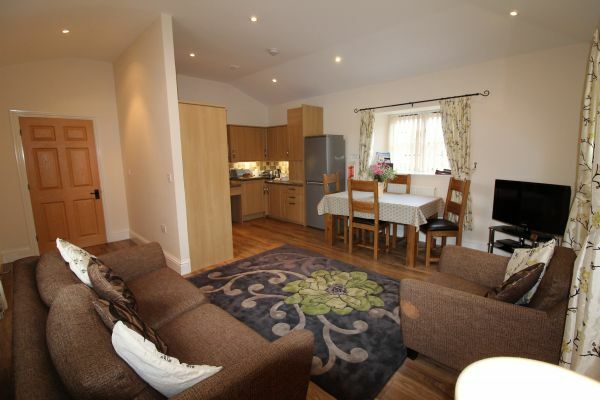 All have spacious sitting, dining and kitchen areas. 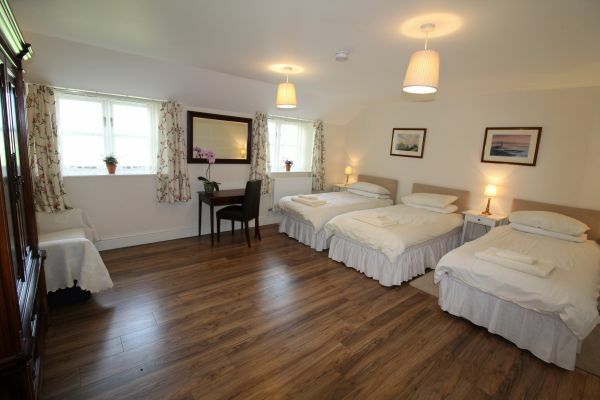 Briarhill House has a double bedroom ensuite (bath with overhead shower) on the ground floor - this is ideal for families or groups where there is a less able member. From Tyne Tunnel / A19 - Travel north to Moor Farm roundabout and take the first left (A189) south for 1/2 mile to the next roundabout. Take the second left turning - B1505 signed to Burradon. Travel 1/3 mile up the hill and take the first left into Burradon Farm Road. Travel along the farm road to where our houses and cottages are located. Our Reception can be found on the right hand side opposite the cottages. Prices shown are per cottage for 1 week all inclusive, short breaks also available minimum 3 nights contact us for details. Stayed for 4 nights in Briarhill House. So clean tidy and huge. 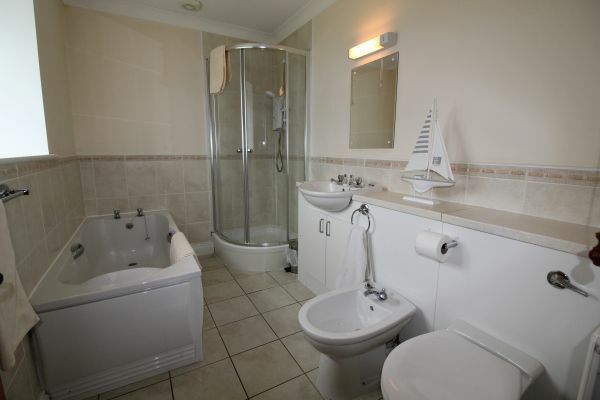 3 bedrooms 3bathrooms (2 of which are en-suite) and a separate toilet by the lounge. Everything you need for a your stay and good high quality. Dishwasher and washing machine also. Will definitely be staying again when visiting family in Burradon. So conveniently situated and ideal. 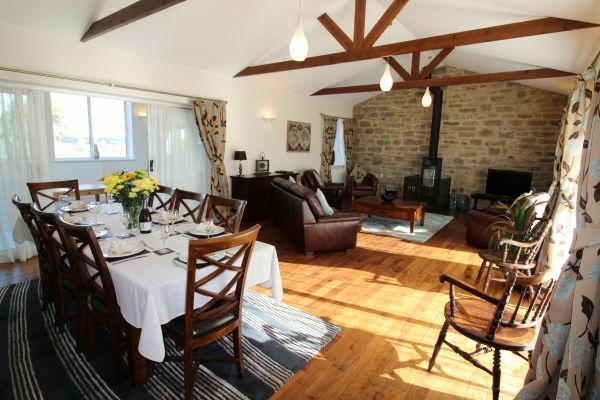 We have stayed several times over the last 10years or so at these self- catering cottages and the standard of accommodation has been consistently high. 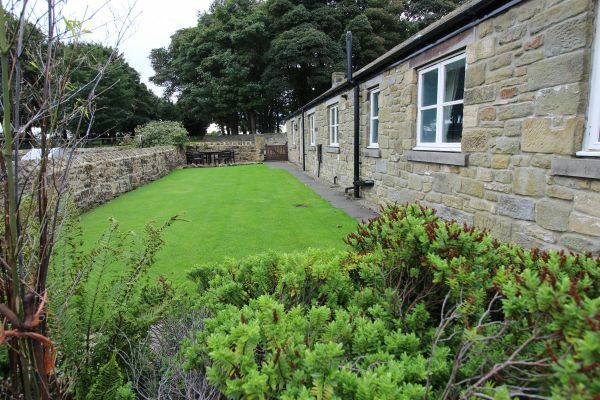 They are set in attractive grounds, with grassy expanses for relaxing, on a working farm. Most recently we stayed in Briarhill House, one of the largest houses. 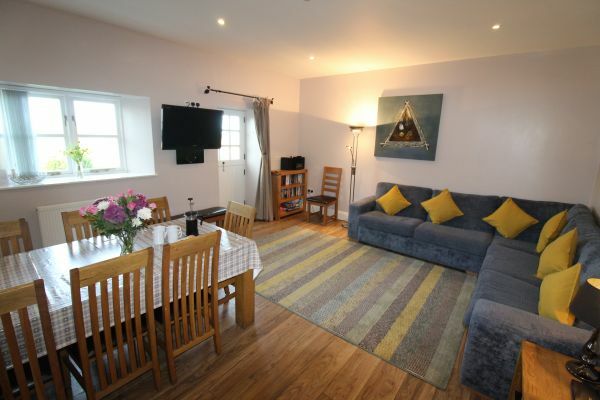 It is spacious and well-equipped with a cosy lounge and a very convenient ground floor bedroom with large en-suite bathroom. The attractions of Newcastle, the Northumberland beaches, or ancient Hexham, Morpeth or Alnwick are within easy reach; there is a useful handbook which suggests local facilities. Closer to hand are several dog walks, rambles and cycle rides. Highly recommended. 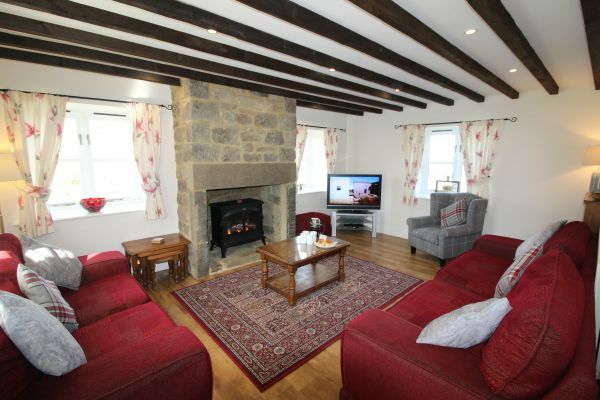 We have just returned from the most wonderful stay in one of England's hidden gems - Burradon Farm Cottages. We stayed in Chaff house for a week and were overwhelmed by the combination of luxury, character and welcome we were affoarded during our stay. 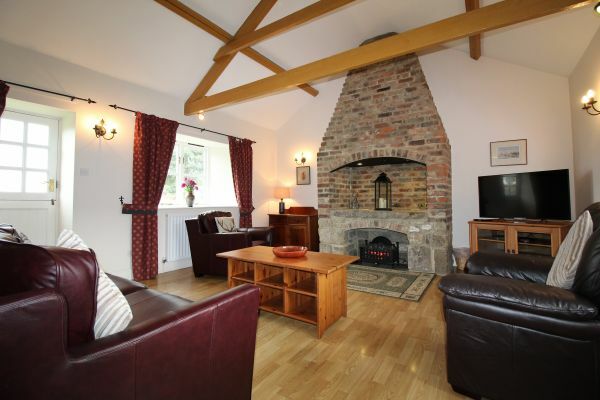 Our cottage was spacious, more than comfortable and wanted for nothing. Stunning views added to the tranquility, even with kids!!! 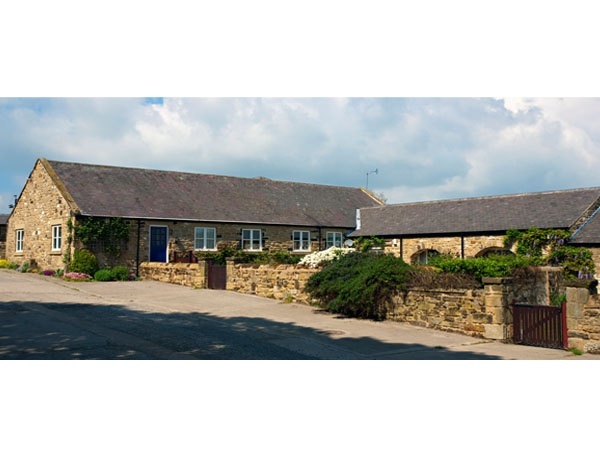 The cottages are ideally placed in the heart of the Northumberland with easy access to some of the UK's finest National Trust and heritage sites. Harry Potter has certainly worked his magic here. A big thank you to Will and all his team for making our stay so special. Cannot recommend highly enough - and that's saying something for a usually highly critical Hong Konger!!!!!! We stayed at Forge Cottage with friends and it was lovely. Clean, warm and had everything you needed. Excellent information book, even detailing dog friendly cafes and walks from the cottages. We had an enclosed garden however the wall wasn’t that high and our cocker surprised us by jumping over into the next garden! The only downside was our bed, not overly comfortable and needs replacing. If the mattress was replaced we be back there for sure.